You are here >> Home >> Home Loan >> What is the ideal Home Loan Tenure? Home Loan Tenure is one of the most crucial decision making factor during Home Loan Process. Home Loan Tenure has a direct impact on your cost of borrowing. 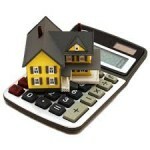 In turn, the cost of borrowing increases your overall cost of the property. I receive many queries on what should be the ideal Home Loan Tenure?. There is no standard answer to this query. As a borrower, you need to arrive at the optimal value which should be a fine/comfortable balance between your current financial condition and your Home Loan requirement. The home loan providers i.e. banks/HFC’s push for longer home loan tenure as it is financially beneficial for them. The best sales pitch is that EMI is low for 30 year Home Loan compared to 20 year Home Loan. A typical human psychology is that lower EMI means lower cost of borrowing or less burden on the pocket. It is not true at all. (a) Home Loan Amount: Normally longer Home Loan Tenure is offered to increase the Home Loan Eligibility. Nowadays banks offer even 30 years Home Loan. Earlier 20 years was the max Home Loan Tenure. ICICI Bank Extraa Home Loan is customized product with longer home loan tenure to increase the eligibility. Normally HFC’s and Private Banks are lenient in fixing Home Loan Eligibility compared to PSU Banks. Therefore, if the eligibility is a key concern then you may avail Home Loan from Pvt sector banks to keep Home Loan Tenure short. (b) Home Loan Interest Rate: Assuming all other factors are constant, lower interest rate means shorter Home Loan Tenure. (c) EMI: If a borrower keeps Home Loan EMI low then it will increase the Home Loan Tenure. Normally borrowers prefer to keep EMI as low as possible so that they need not compromise on the existing lifestyle. From a personal finance perspective, it’s a wrong strategy. We will check how to maintain a fine balance between the two. (d) Age of a Borrower: Normally max Home Loan Tenure is 60 years minus the current age of a Borrower. If my age is 42 years then max Home Loan Tenure should be 18 years. In my opinion, if the Home Loan Eligibility is not a concern then the borrowers can simply ignore this factor. Is the longer Home Loan Tenure Bad? As i mentioned that longer Home Loan Tenure increase the cost of borrowing. In layman terms, you pay more interest for 20 years home loan compared to 15 years. Now assuming you bought a property for 50 lacs and paid interest of 35 lacs then your cost of the property is 85 lacs instead of 50 lacs. The higher cost of property means lower ROI from the property. I explained it in detail in my post, 5 Disadvantages of Home Loan. Therefore, i always caution my clients who buy property on Home Loan for investment purpose. Though the decision is very subjective as you also need to consider a tax deduction. The second reason is that longer Home Loan Tenure may interfere with your financial goals in life. As a thumb rule, you should plan Home Loan in such a way that you will close it before your kids join college. The major expenses start from this point and will last till the marriage of a child. This cycle is of min 10 years, therefore, any additional burden like Home Loan EMI may impact your financial goals. Lastly, we should always keep in mind that life is uncertain. We should leave an asset behind for our loved ones rather leaving liabilities. I have seen some of my clients struggling to pay off the debt after the death of a borrower. In such cases, An asset becomes the biggest liability. Though i agree that we cannot take a home loan for 2 years as it is long term liability. We can make an attempt to finish this liability asap. How to find out ideal Home Loan Tenure? This magical number will be different in each case but do remember following golden rules for shorter Home Loan Tenure. (a) Home Loan EMI should be 50% of net household take home salary. If your spouse is also working and assuming both are drawing equal salary then you may consider 100% of your take home salary as EMI i.e. 50% of net household take home salary. You should increase your Home Loan EMI every year after you get annual salary increment. This adjustment should ensure that your EMI is 50% of net take home salary. In many cases, i observed that after few years EMI is just 30% of net take home salary due to an increase in salary. A common justification is that we will save and then prepay at the end of the year. Trust me, it will never happen. It is advisable to fine tune your EMI immediately after salary hike. (b) 75% of any upfront amount received like annual bonus or maturity amount of investment should be utilized to prepay Home Loan. It ensures that you will be debt-free at the earliest. The logic of point (a) can be used to find out ideal Home Loan tenure. In short, you fix your home loan EMI based on your net take home salary. Now depending on your Home Loan requirement and interest rate, you can find out ideal Home Loan Tenure. You should not stretch your finances to shorten the Home Loan Tenure else you will end up in a financial mess. Also, it is advisable to clear all other debts before you avail Home Loan so that it will not impact your home loan eligibility. Conclusion: There are multiple factors which decide the modalities of a Home Loan. You should not go by the words of Home Loan provider or your friends as you know your situation very well. You should discuss with your family members and explore/discuss all the options before finalizing Home Loan Tenure. There is no right or wrong answer to any question. The end objective is how to utilize existing resources in most optimum way. A higher down-payment is also one of the ways which are not explored by many borrowers. Therefore, it is very subjective and you should aim/focus on closing the home loan in 8-10 years which is average Home Loan Tenure in India. Hope you liked the post. You can share with your friends and family members through following social media icons.